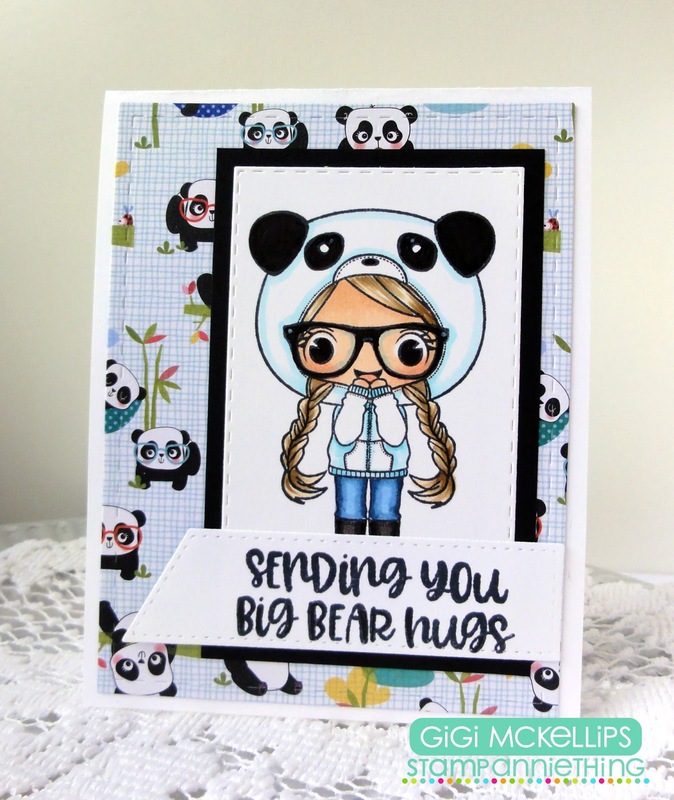 I used the Brooke-Panda stamp set to create my card. 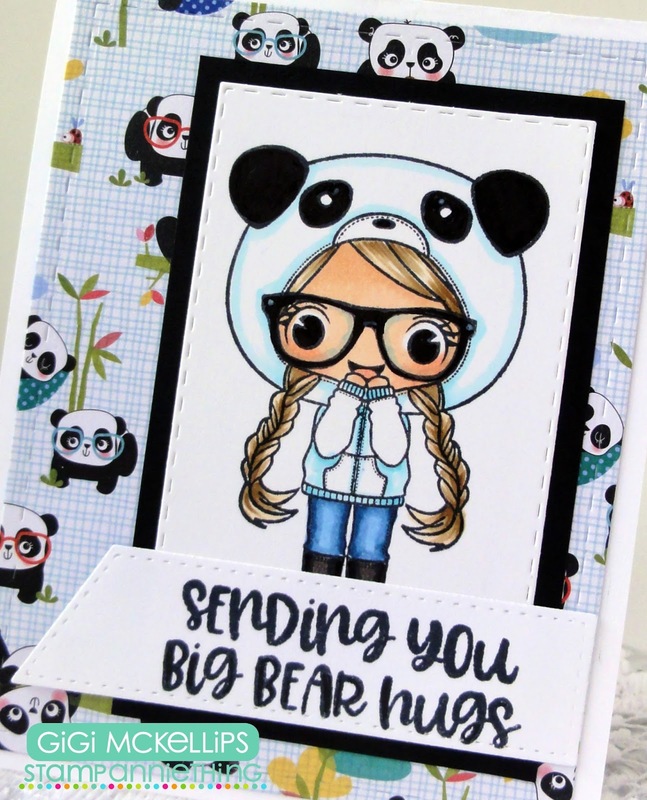 I stamped Brooke onto a mat cut with the Goody Bag Die and colored her with Copic markers. I stamped her glasses from the Megan stamp set and matted her in black. To finish, I stamped the sentiment from the Pandas Are Awesome stamp set onto a tag cut with the Card Layer Dies 2.
adorable et tellement jolie, ce papier de fond est trop mignon, l'ensemble est très harmonieux et gai!